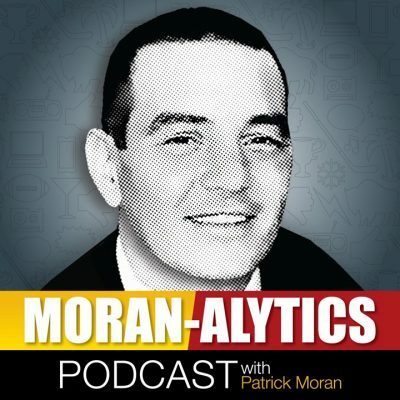 On this episode of the Moran-Alytics Podcast, Patrick Moran interviews Mike Johnson of PWInsider.com in advance of Sunday night’s Royal Rumble. An acclaimed veteran pro wrestling scribe, Johnson has been writing for Pro Wrestling Insider since it first launched in 2004, nearly 15 years ago. During that time it’s become one of the most informative and widely recognized wrestling “dirt sheets” in the entire industry. Johnson describes in detail how a harrowing accident would begin his path to becoming a full-time wrestling writer. After that the attention turns to the 32nd edition of the Royal Rumble, being held Sunday in Phoenix and the two run down the entire card from top to bottom with Johnson offering thoughts and a prediction for each. They spend considerable time discussing matches involving the women and agree the road will ultimately lead to women main eventing Wrestlemania this spring. Johnson also discusses “The New” Daniel Bryan, predicts two title changes on the Smackdown side and guesses the direction for Finn Balor after he clashes with Brock Lesnar for the Universal title. You can follow Mike on Twitter @MikePWInsider and check out tons of free content at PWInsider.com. Mike also informs listeners on how they can become elite subscribers on the site. Prior to Johnson’s interview Moran has his buddy Joe (@BuffaloWins) on for an installment of The Run-In With Joe. The guys re-visit last week’s AFC and NFC championship games and decide if changes need to be made regarding the overtime possession rule while debating if pass interference penalties should become challengeable by coaches. They also discuss the Buffalo Bills offensive line and try to figure out if Bills GM Brandon Beane will bring back any of the three pending free agent linemen that began the season in Buffalo as starters. They disagree on how resources should be spent on the position, with Moran saying the team would be best served spending big O-Line money in free agency while offering up two names he’d like to see signed. Joe disagrees and thinks they can find O-Line help in the draft and wants more resources spent on the skilled positions.